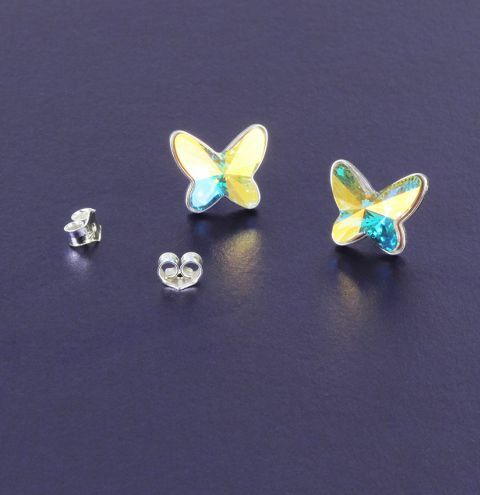 Learn how to make the Radiance Butterfly Earrings using shimmering Swarovski crystal butterflies and sterling silver earring bases. Add a drop or two of glue into your earring base. Carefully place in your crystal and lightly press into the base.